“Astounded” is the word I would use to describe my common reaction to reading the essays by Mexican native Alma Guillermoprieto in the New Yorker magazine. A single paragraph sometimes would give me pause. I’d put the magazine down and just shake my head at the talent there. The talent with English, the honesty, the cultured manner of letting her own personality direct the topics and prose, are all in full display in the books and essays by Ms. Guillermoprieto. I look forward to seeing how she handles the genre of the “talk”, since she is visiting UW-Whitewater this evening to discuss “How to Be a Mexican” at 7 p.m. in Young Auditorium. Guillermoprieto is considered an authority on how life in Mexico and South America relate culturally to the United States as she was born in Mexico and grew up in both Mexico and the U.S. She has devoted 30 years to the study of Latin American history and has related it to her own life in her two books, “Looking for History” and “The Heart That Bleeds.” In 2000, Guillermoprieto was awarded the George Polk Award for Foreign Reporting, one of the most coveted awards in journalism, by Long Island University. Alma Guillermoprieta is a very well respected author and woman throughout the United States and Mexico. Her insight into Mexican verses American cultures and what classifies a true Mexican was very educational. She was able to introduce me to a world that I’ve never known. Moving to New York City from Mexico City, Alma was introduced to the American ways at a fairly young age. Now a widely known professor at the University of Chicago, she asked the audience if you can truly continue to be Mexican while also living in a world that America has pressured everyone to conform to. This world is more modern and contains fast food, video games and new hip clothes and music. Does this fantasy life take away from the old country ways? Alma was effective in the way that she answered this question. She touched on the main points leading to a change in culture including the migration of immigrants to the U.S. in search of jobs, a safer place and a better government. The Mexicans were also attracted to the perks of the American life. There was different music such as Rock and Roll and there was unheard of technology that was being developed. Although the Mexicans were changing their ways, they still respected and practiced their true religions and cultures. One video clip that Alma showed us was on the Mariachi band. This music was inspirational and showed true citizenship. As an audience member we also got to listen to a classic Mariachi song. The song was displaying how much of a part the U.S. plays in a Mexican’s life. One verse quoted, “If I should die away from home…return me back to my homeland [to be put to rest].” In conclusion, Alma stressed to the audience that being a Mexican truly means having respect and faith in your country and practicing your culture. You can’t change where you come from but you can take pride in being a Mexican. Alma Guillermoprieto was born in Mexico and migrated to New York City at a young age. She is a successful woman who has been to Nicaragua, Colombia and El Salvador. She was a journalist for the Washington Post and has dedicated thirty years of her life studying and reporting about Latin America. The question that she discussed was how to be a Mexican. Mexico has had a long standing issue of identity crisis. From the Spanish Conquisition, the Mexican Revolution and to even the Treaty of Guadalupe (where the Americans gained almost half of the Mexicans national territory) Mexico faced the challenges of being Mexicans. Mexico began receiving commodities that the United States had started to see its wealth from. Mexico City began to transform into a new place influenced by the United States and soon the campesinos began to diminish because they could not compete with the larger giants. This is where “Junk Culture” comes in. Guillermoprieto says how the Mexicans began to feel inferior and bad about them so they began to go into the United States to find a better life. When Mexicans would return from the United States they were often looked down on because they had started to lose their accents and how to even speak Spanish. Some of the statistics that Guillermoprieto gave were fascinating to me. She said that one out of every ten Mexicans lives across the border and that one third of its countries foreign income comes from the United States. She stresses that however even though these Mexicans in the United States are here they don’t forget their country, Mexico. These immigrants show their patronage to their country through symbols such as the Virgin of Guadalupe, Mariachis and their Mexican flag. Alma Guillermoprieto stressed how with all of this “Junk Culture”, it has been hard for the Mexicans to keep their sense of who they are. We the United States has influenced them as a higher power and really changed the meaning of what it means to be a Mexican. Guillermoprieto refers to culture being like water and it flows where it will, always finding the holes to seep through. Mexico has been more accepting of the United States influence on their culture and has come a long ways from when you were shamed for having something to do with the American culture. 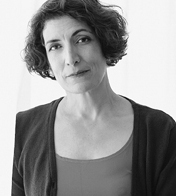 Alma Guillermoprieto is an award winning writer born in Mexico and raised in Mexico and the U.S. Through her experiences and research, she attempts to answer the question what it means to be Mexican today. Her presentation explains the importance for Mexico’s strong cultural identity, how that culture developed and changed, and how the identity of Mexicans is now divided because of the U.S.
A significant part of Mexican cultural identity is their strong feelings of patriotism. This feeling arose from a history of imperialism. Mexico has been victim to conquest three times, first by the Spanish, then the U.S., and finally by the French. After independence, Mexicans worked to develop a purely Mexican cultural identity, but their culture is still seen under “permanent and terrible threat” (Guillermoprieto). Today, the threat comes from Mexico’s neighbor to the north. After signing NAFTA, Mexico has been bombarded with “junk” culture from the U. S. like Coca-Cola, fast food, music, and other businesses driving smaller Mexican producers out of business. The U.S. has not taken control of Mexico like in the past, but its constant presence makes Mexican culture protective of their identity. Mexican cultural identity developed over time after independence from France and has continued changing. Beginning in the 1930’s, there was an especially concentrated effort to demonstrate what was Mexican through the arts. Diego Rivera, a famous painter, is praised for comparing “the brand new and very ancient” (Guillermoprieto) parts of Mexico’s history by depicting past conquests with current political issues in his murals. Films were an instructional manual to teach people how to be Mexican. They showed men and women how to act with machismo and dress. A true Mexican was from the countryside and “culturally immune” (Gillermoprieto) to foreign culture unlike the people from Mexico City who drove cars, dressed like people from the U.S., and spoke English. Films also invented the lavishly dressed Mariachis who continue to be a symbol of Mexican culture. While symbols of Mexican culture like the Mariachi continue to be part of Mexican identity, other parts of Mexican identity have been divided as the population has immigrated to the U.S. “Today one in ten Mexicans lives abroad [in the U.S.]” and “money sent back counts for a third of the country’s income” (Guillermoprieto). Immigrants, and their children, deal with not being accepted by both cultures and struggle categorizing themselves as either Mexican-Americans or American-Mexicans. Negative feelings about this Mexican identity has lead to new instructional videos on “How to be Mexican” posted on YouTube which include teachings of how to steal, beat someone up, and climb a wall. Clearly the identity of Mexican culture is again being threatened. Mexican culture is dynamic and always will be. Immigration to the U.S. has led to a new crisis of divided identity between what is Mexican and what is American; challenging the “pure” identity created by films and Rivera, but Mexicans will continue to be protective and faithful to their culture. However their culture changes, two things will remain constant. The fact that “Mexico can’t go anywhere without [its] past” (Guillermoprieto) and the Mariachis as a symbol of its identity. Alma is not proud of her Mexican culture; she quotes “I am worried that Mexico will be too much influenced by Cheetos, Hip-hop, and SUV’s.” After many battles Mexico had lost its heritage and started to follow other countries with their trends. Out of all the wars and battles Mexico had, the only one where Mexico came out winners was the Mexican Revolution, but otherwise, Mexico has lost the many battles they were in. And the country that was most followed was Mexico neighbor, The United States. Alma explains that Mexico had lost its heritage and the Mexican government agrees with her. The Mexican government has been using cinema to produce films that express Mexico lost culture. Alma quotes “If you wanted to be Mexican, you had to follow the ways of movie actors.” In Mexican movies, directors were strongly urge to be as realistic as possible to the era that the movie was recreated. Such as actors playing movies that represent the early 1900’s, they wore clothes from that era. Alma claims that Mexico had a major identify crisis with hip-hop music. Due to Mexico economy, many Mexican Natives came to the US to find work. And living in the US many fell in love with the hip-hop style of music in the US. Many Mexican Natives considered it a sin to live and speak American. Musician Selena did give some confront to Mexican Natives and American-Mexicans. Alma Guillermoprieta is famous for being an award winning writer. She, in her presentation in the Young Auditorium, tried to answer a very important question, what does it mean to be Mexican today? Her presentation explained how Mexico HAD a strong and dominating culture, but now is blurred because of the US unintentionally intermingling cultures with Mexico. A good definition for the Mexican Culture would have to be “love for your country.” If you don’t love the country you were born and currently living in, there is no way you can accept its culture as your own. Mexico, after signing NAFTA, has had America forcibly combine with their own culture, making a hybrid Mexican-American culture, which in the opinion of Alma is not very good. Traditional American music, food, and clothing have invaded their way into the everyday lives of the typical people of Mexico. Alma explains that true Mexican culture comes from the mountains/countryside where the people living there have not been effected by the influences of other countries. Now days, most Mexican families have one or two members of their family go to the United States looking for work so they can provide for them. We as Americans typically look at this scenario in a negative matter, as if Mexican-Americans are bad people taking jobs from Americans. The perception of Mexican-Americans has been slurred to such a degree that we often think of burglars, thefts and robbers when we think of Mexican-Americans. In the end, Mexicans will stay true to their culture and continue to live the way their elders did, with respect and admiration towards their beloved country.